Rivalry put aside for news that new Intel chips will come with AMD Radeon graphics. One of the technology industry's biggest rivalries may well be over after AMD and Intel announced they are teaming up in building new chips. Yes, you read that right. AMD and Intel will be co-designing an Intel Core microprocesor, and the crazy part is – it's about bringing high-level graphics processing to ultra-thin laptops. 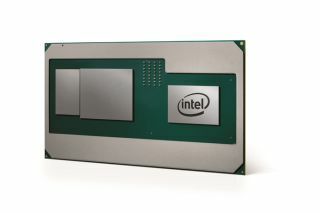 According to a joint press release, the new chip will be an “evolution” of Intel 8th gen chis and H-series Core chips. Besides speeds and state-of-the-art graphics, the new chip will also consume less energy, making it even more suitable for laptops. The chip is expected to start shipping in the first quarter of 2018, which is also quite the surprise. According to media reports, rumours of this chip have been circulating around for some time now, with people referring to it as Kaby Lake G. However Intel calls all of that “rumour and speculation”. This breakthrough is made possible thanks to EMIB, or Embedded Multi-die interconnect Bridge.